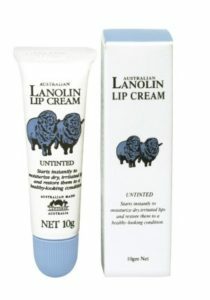 This product is made from oil processed from the finest wool of Australian sheep. Your lips will immediately feel the benefit especially if they are dry or chapped and will respond to allow the lips to regain elasticity and softness with a healthy glow. Because this product is produced from 100% natural sheep oil it is harmless and safe to use and will not irritate the delicate lip tissue. Directions: Apply at any time to the lips. May be used under lipstick.